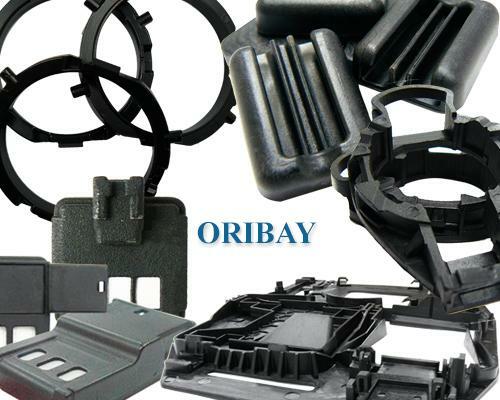 Oribay is a Leader Company working in Automotive market since 1984. Our head-office is in Spain and we are established worldwide. We supply OEM and replacement market. From the beginning, Oribay has been a Company focused in manufacturing parts that can be glued onto a windscreen. We have progressively expand our business producing our own structural bonding tape “Oritape” and specializing our activity in the adhesive application. We are Producers and distributors. This is the best way to guarantee the high quality of the product we supply. Our Central in Spain manufacture & control all our products, process and quality. We have a staff of professionals highly trained and guarantee by a trajectory of over 30 year in each of their specialities. Our technology also reinforce our capacity to develop the needed products to our customers. Our Department R&D and specialized laboratory have enabled us to bring innovating products in the market. Oribay is a dynamic Company with Vision of Future! We work with different process, materials, coatings and adhesives. One product adapted to one customer. Oribay personalized its products to each particular case. 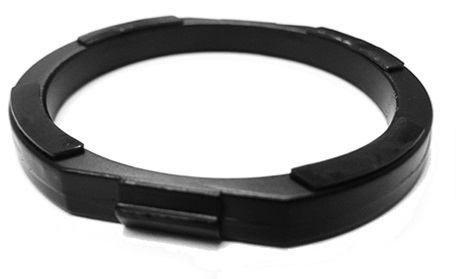 We have an extensive catalogue with parts available in different kind of materials, coatings and process. 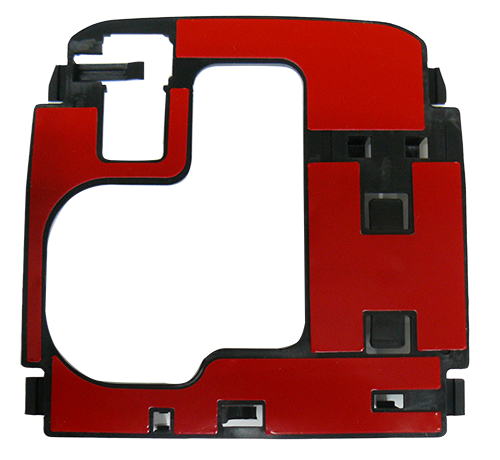 Our customers have the option to chose the most suitable part according to their needs. We have developed our own SBT adhesive “Oritape”. 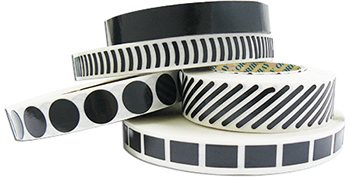 We offer a personalized tape with excellent properties, competitive price and flexibility in deliveries. Oribay is equipped with Automatic lines of Adhesive and 90% of our product is supplied with tape. We proceed with all the quality test in order to control and guarantee 100% of the adhesive junction. 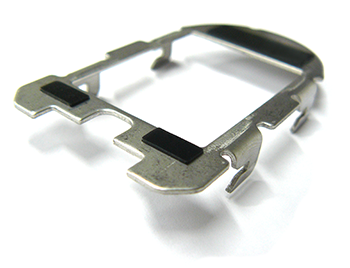 Oribay has human and technical capacity to develop in a record lead time new parts according to requirements. of the market or under customer request. We develop and innovated offering parts fthat follow the changes of the market. Our specialized laboratory fulfils the most exigent requirements of the Automotive Quality Certification. We are a Company established throughout the word that serve our customers in a special way, giving a personalized and professional attention. We guarantee the quality of the products, a competitive price and a total flexibility the deliveries. ( We have a permanent stock of 50 millions parts). There is no Minimum order quantity. Our customer order exactly the needed quantity. Activity: Development of the components that are glued onto the windscreen, manufacturing of Structural bonding tape and adhesive application of the tape on the part. 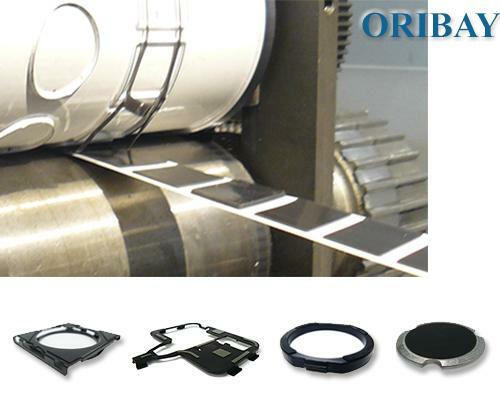 Oribay has a large stock of mirror buttons, sensor holders, stoppers, multifunctional plates and accessories. High standard, Flexibility and rapidity are the needed quality to give a good service. If you need any product, Oribay has a large stock of mirror buttons, sensor holders, stoppers, multifunctional plates and accessories. We have a wide range of products. Thanks to our experience in the automotive market we are able to solve any technical doubt (position of the parts, materials, coatings, models of car that use our product). We know the new technologies applied in this sector, we have available the last models of Cars components to replace them onto the windscreen. 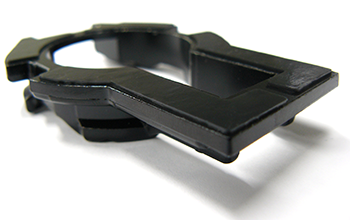 We can develop in a short lead time new parts o adapt the existing ones to the specific needs of our customers. Oribay is specialist in the components that can be glue onto the windscreen, we observe the trend of the market, analyse our customers requirement and adapt our product accordingly. We have a family of adhesives for all our parts, with different properties, shelf life, thickness, geometries. Market requirements change every day. Our customers needs to diversify its product that should combine a competitive price with high quality standard. We have a family of adhesives for all our parts, with different properties, shelf life, thickness, geometries. We haven´t a standard product but several kind of adhesive all of them adapted to each customer, each part and each process. Our Department is in constant development of new projects. The adhesive of today will be different from the one launch tomorrow! Our adhesives have passed have passed rigorous quality controls and are currently being used by the biggest Windscreen Manufacturers. After 11 years of Investment, We have succeeded in presenting a strong adhesive that can fulfil the hardest requirements. 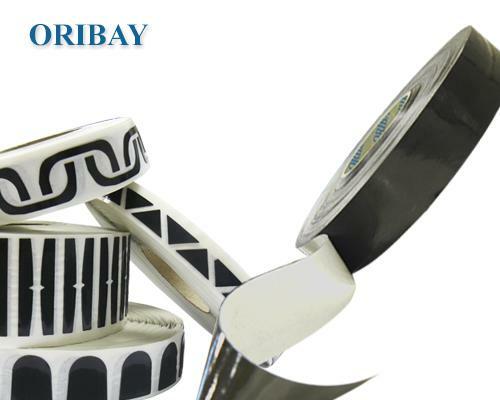 Oribay guarantee and control its tape at 100%. Oribay has its own Laboratory specialized where the Oritape is tested, moreover the Oritape is stored in our special fridge in order to maintain the optimal conditions. We apply the tape in robotic lines, checking the parameters for a good application. During all these years of experience, we have understood that it is necessary to control 100% our process to gurantee the product and offer the best service. We apply the tape in robotic lines, checking the parameters for a good application. All our Batch numbers are tested with strict internal tests in order to guarantee an excellent adhesion. 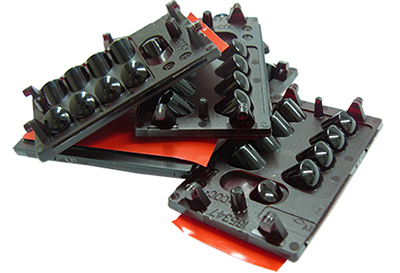 We have also capacity to apply special treatment to increase the union between the part and the adhesive. Research, Development and Innovation. Most of our yearly profit are fully dedicate to R&D to enable us to be always in the first line of innovation. We have a specialized team working on the development process for this reason we can offer technical assistance to our customers and competitive prices. We treat our part in order to increase Surface Tension. ISO/TS 16949 Is the International Standard of the Quality System in the Automotive Industry. ISO 9001 Is the International Norm of the Systems Quality Management. ISO 14001 Is an environmental management standard. OHSAS 18001 Is an international occupational health and safety management standard. Ecovadis Is a platform in order to monitoring social and environmental performance. ORIBAY has obtained the Silver Category.